Lexington violinist teaches kids to tell musical stories | LEARN TO PLAY THE VIOLIN FOR FREE! 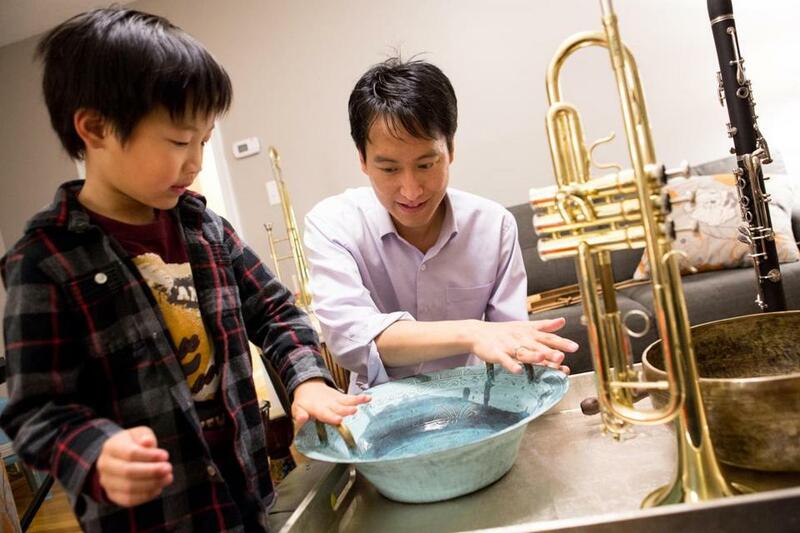 Anwell Tsai and his son, Alec, 6, played a Chinese spouting bowl. Alex helps Tsai test new techniques for his Playful Tunes music instruction program for children.